Perigeaux Vineyards & Winery announces its partnership with Carey Taylor, Owner & Lead Coordinator of Magnolia Blossom Events! Carey will be managing all of the Wedding events at the winery. We are excited to begin the 2016 season together! Please join us on Sunday, June 26th, 3-6pm for the Perigeaux Bridal Experience to meet Carey and learn more about having your wedding at Perigeaux. 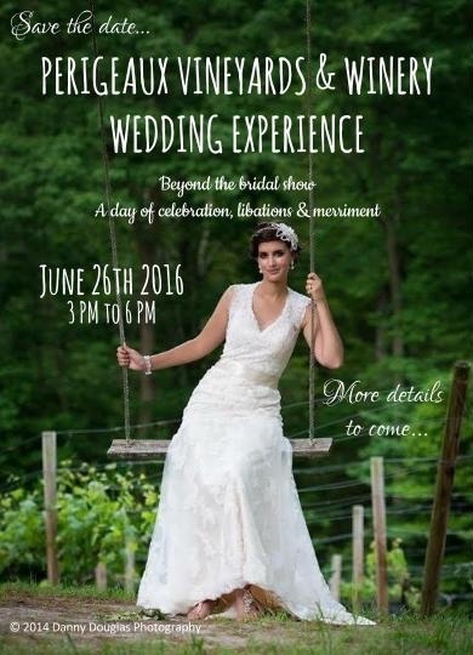 Click for info on the Perigeaux Bridal Experience. ← Perigeaux Named One of the Most Beautiful Vineyards in Maryland! A Must Visit!